In an announcement at Peraso Technologies in Toronto this morning, the federal government confirmed that it would officially implement programs in the Global Skills Strategy June 12. The Global Skills strategy was first announced in November 2016, which included a fast-track visa with a process time of 10 days to two weeks for “low-risk, high skills talent.” The strategy also called for the creation of a Short Duration Work Permit exemption, which will apply to work terms of fewer than 30 days in a year. During the announcement, Minister of Innovation, Science and Economic Development Navdeep Bains and Minister of Employment, Workforce Development and Labour Patty Hajdu stressed their commitment to the fast-track visa, though they acknowledged the difficulty of turning a months-long process into a weeks-long process. Officially launching as the Global Talent Stream of the Temporary Foreign Worker Program, the Ministers confirmed that all aspects of the proposed program announced in November — including the fast-track visa (and temporary resident visas where applicable), the creation of a service for companies interested in working in Canada, and the short term work permit exemption — would be implemented. While the Temporary Foreign Worker program is still functioning, Minister Hajdu called this a “specialized” aspect of that program. “It’s about expediting this process for employers, so rather than the lengthy labour market impact assessment that people had to go through before, now there’s this fast track where we’ll be able to work with employers on applications, and they’ll be responsible for demonstrating through a plan how it will benefit Canadians,” said Minister Hajdu. Startups interested in a Global Skills work permit have to apply through the government’s Invest in Canada office and prove the labour market benefits. 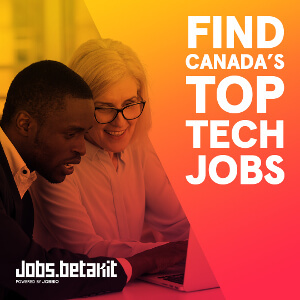 Startups interested in a Global Skills work permit have to apply through the government’s Invest in Canada office and prove the labour market benefits. In turn, companies receive a set number of permits. During the announcement, the Ministers stressed that this would be a “client-focused” service, where companies would be guided through the process of creating a Labour Markets Benefits Plan, with a standard service of 10 business days. In turn, worker eligibilities would be processed in 10 days. At the same time, the government is developing a Global Talent List of high-demand occupations eligible for the program in consultation with labour market experts and stakeholders. It’s also consulting with provinces and territories, businesses, and industry stakeholders on the implementation of the overall Global Skills Strategy. 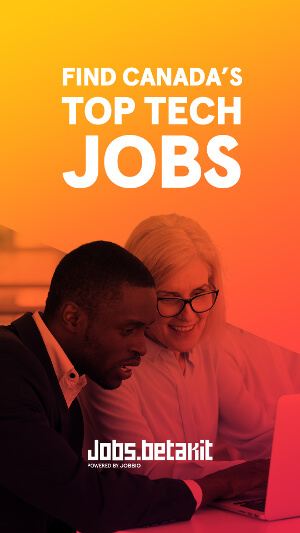 In November, high-profile Canadian tech leaders like Wattpad’s Allen Lau, Shopify’s Tobi Lütke, and Thalmic’s Stephen Lake could not contain their excitement for the new streamlined toolsets to acquire global talent. “Putting the onus on the company to demonstrate overall market benefits versus arguing around points for a given candidate makes much more sense,” Chris Reid, founder of Sortable, told BetaKit at the time. However, timelines for implementation of the program were unclear, and when the government announced later in November that it was soliciting feedback on its design, it also became clear that the Global Skills Strategy would not see light of day until 2017. With a launch date set, many hope that the fast-track visa will put Canada on the same competitive field as economies like Ireland, which has increased the number of ICT permits, and have a standard processing time for Visas at six to eight weeks.